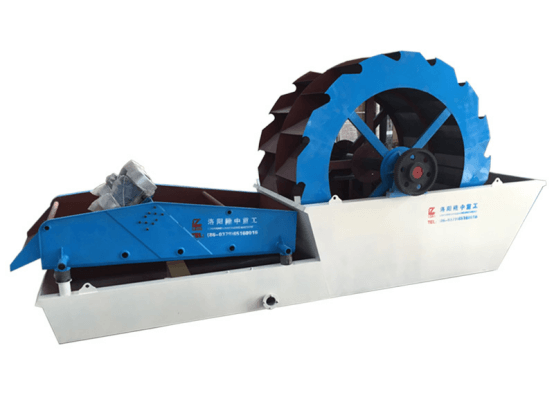 When talk about wet type sand making line, many customers are not strange to bucket sand washer and dehydration device, and the two machine often be combined by chute or belt conveyor. But many customers feel that the connection of the chute or conveyor belt is difficult to perfectly match a sand washing machine and a dehydration screen, often have the phenomenon of leakaging of material from both sides. Longzhong based on the design of the washing and dehydration of one machine in one set, on the concept of more flexible, The invention of XS sand washing and dewater machine solves the problem of the combination of the sand washing machine and the dehydrating sieve, and makes the combined structure of the two being more optimized, what is more to emphasize is the using efficiency is greater than the effect of the two machines. Of course, the new compact machine makes the connection area smaller, providing users with a broader space for production. After a number of battlefield test, the product in the lungs withstood the test of various materials and the scene, access to the repeat customers alike. The following provides the relevant technical parameters, welcomed the new and old customers to buy.